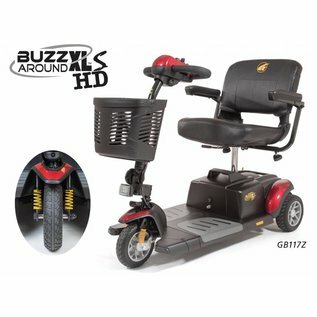 The Buzzaround XLS HD has a heavy duty package with an extra long frame and Golden Technologies' Comfort Spring Suspension. 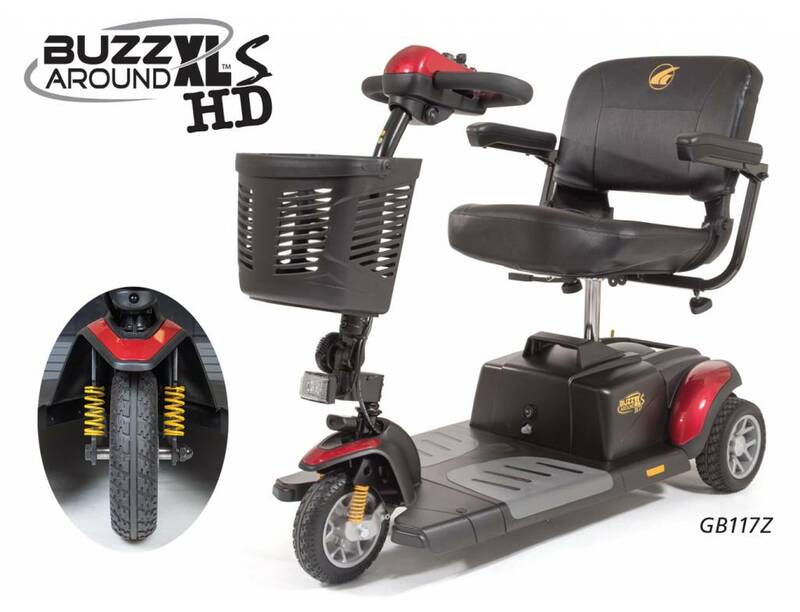 Keep your independence with Golden’s Buzzaround XLS HD 3-Wheel scooter. Featuring the stylish and simple-to-disassemble design of the Buzzaround XLS Comfort Spring Suspension with a heavy duty drive range and weight capacity, you are sure to get where you need to with ease. With the added comfort spring suspension feature, the coils absorb the vibrations; you'll be able to cruise in comfort.